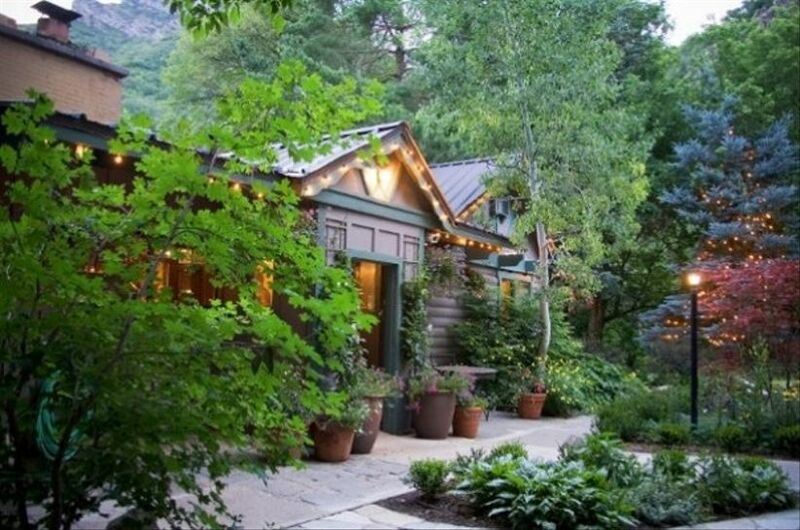 The editors at WeddingWire selected our favorite inns and bed & breakfasts from around the country—check out the results! 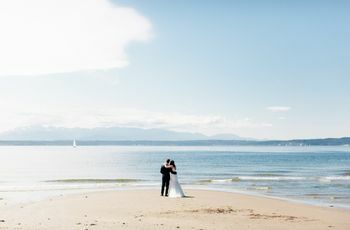 If you’re looking for an intimate wedding setting full of relaxed elegance and picturesque details, inns and bed & breakfasts should be your go-to venues. 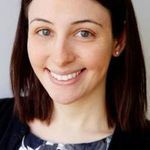 Not only are these venues ideal settings in any season, many allow the option of having your family members and friends stay on premises (how convenient!). 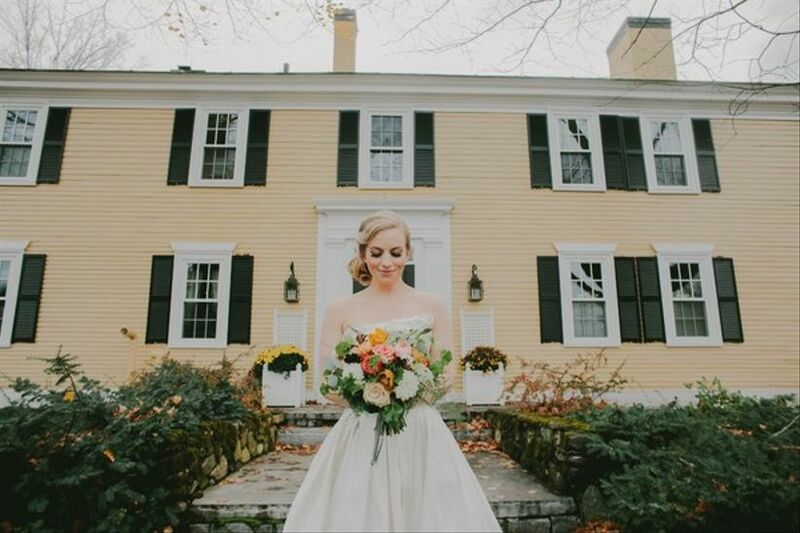 A stunning 10-acre farm estate, this New Hampshire inn offers truly gorgeous portrait backdrops, including well-manicured gardens, fountains, and more. The Great Hall features floor-to-ceiling windows overlooking the Courtyard. 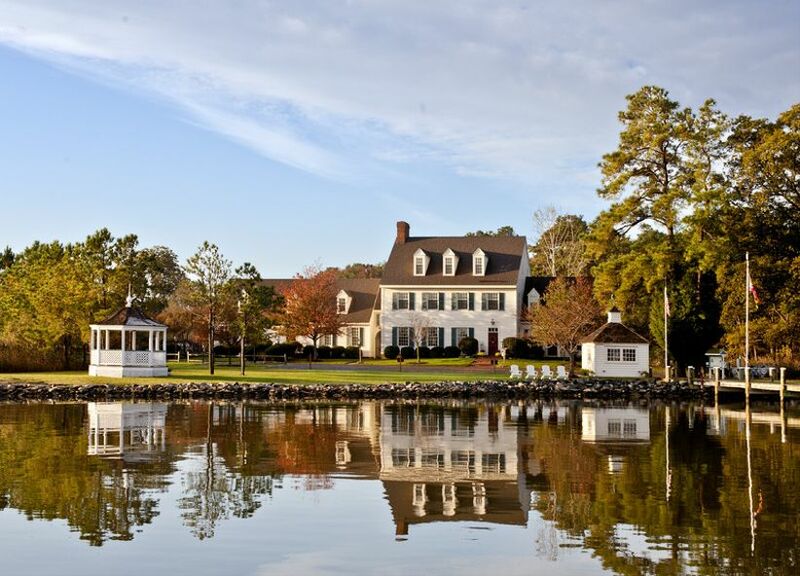 Fun fact: This Eastern Shore venue was the setting for the film The Wedding Crashers. The colonial mansion is right on the water, perfect for couples looking for that preppy, nautical locale for their big day. 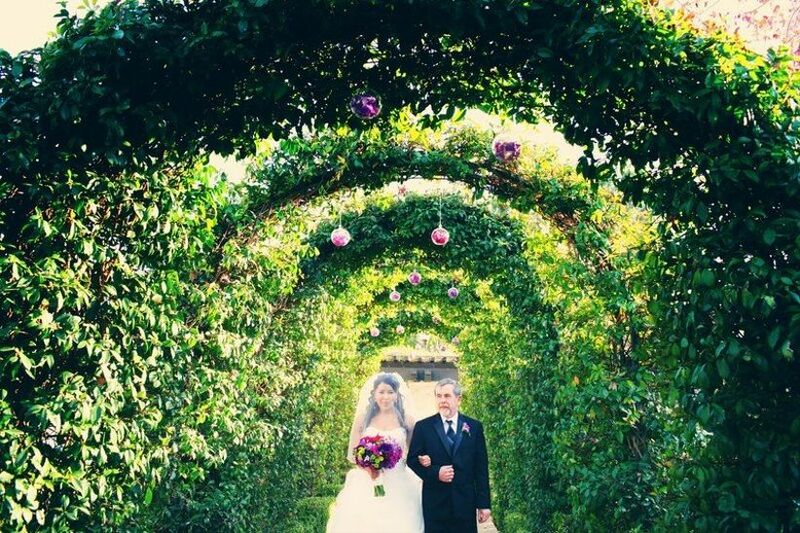 This Santa Barbara wine country venue is ideal for more intimate outdoor weddings. 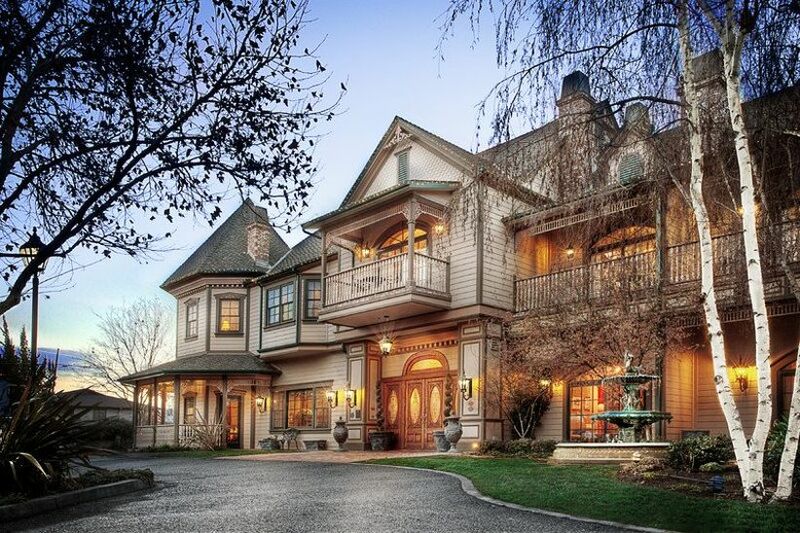 The inn offers 20 rooms for you and your guests to stay in. For an indoor reception option, the Coach House features wood-beamed cathedral ceilings and a built-in oak bar. This 19th century Texas Hill Country inn is set on 27 acres, covered in oak trees. 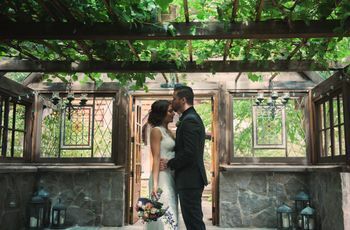 The outdoor space is ideal for a ceremony, and the Garden Ballroom features cathedral ceilings and gorgeous chandeliers, plus its huge windows overlook the garden for an outdoors-in feel. 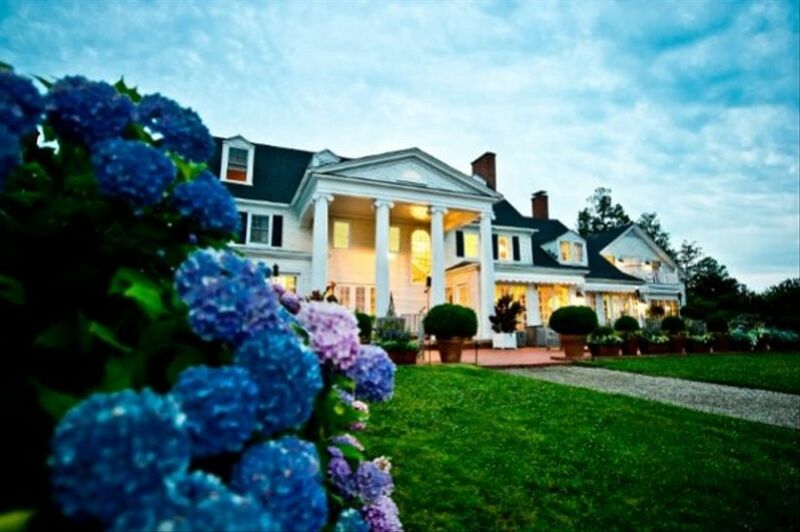 Located in picturesque Easton, Maryland, this inn has 95 rooms for couples and guests to stay on premises. The garden courtyard is perfect for outdoor ceremonies, and there are several elegant ballrooms including the grand Gold Ballroom and the classic Crystal Room. 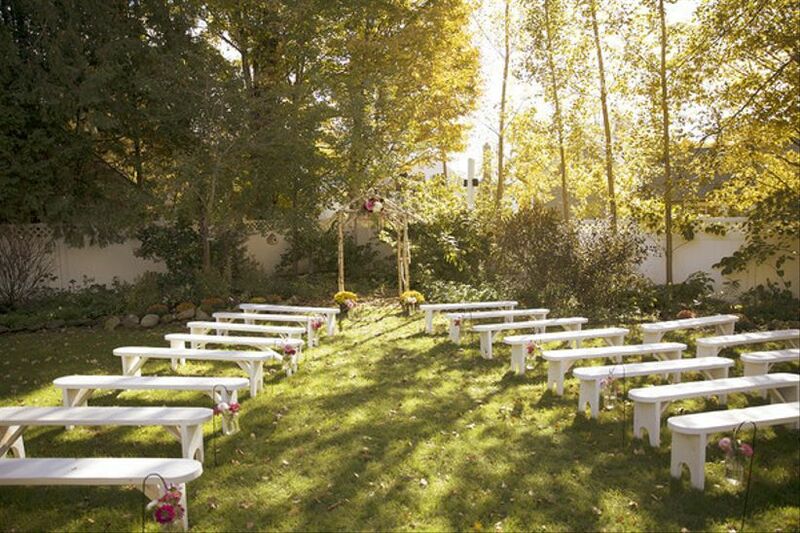 A lovely garden setting in the scenic Vermont countryside, this inn offers a pretty outdoor space for ceremonies. Receptions are held in a large tent on the grounds, and couples rave about the food. Another bonus for couples with furry friends—the inn is known for being very pet-friendly! 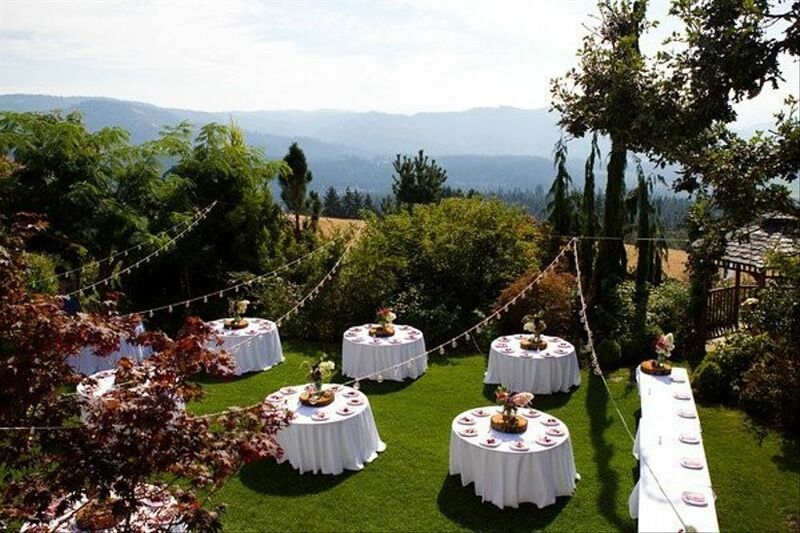 From the mountain views to the historic setting, this venue is ideal for couples who want a rustic-chic event. 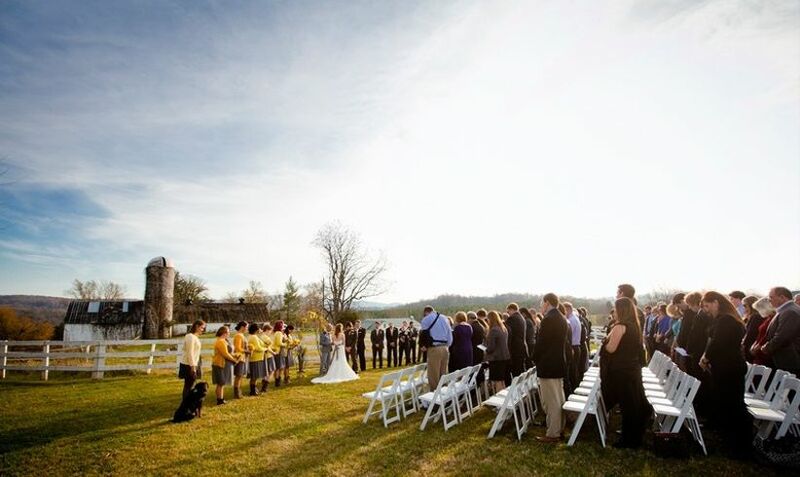 Ceremonies can be held outdoors overlooking the mountains or beneath a 200-year-old tree. Receptions are held in the Fox Den, with its grand stone fireplace. This venue offers a dreamy setting for an outdoor wedding. 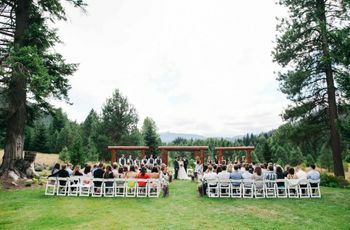 Located in the foothills of Mount Adams, the reception site offers an amazing view of Mount Hood and the White Salmon River Valley—and an incredible backdrop for portraits! We love this inn and restaurant’s riverside deck, which can hold up to 160 guests, as a rustic and scenic reception setting. If you’re hoping for a casual celebration, the restaurant can cater the ultimate barbeque—yum! 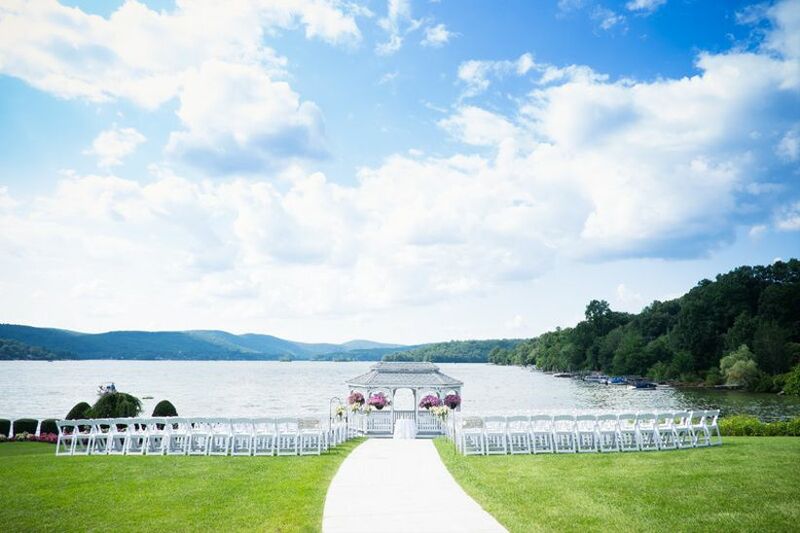 A natural yet elegant setting on Candlewood Lake, this venue hosts ceremonies and cocktail hours right at the water’s edge—how romantic! The festive ballroom also overlooks the lake, and has a classic yet contemporary feel. 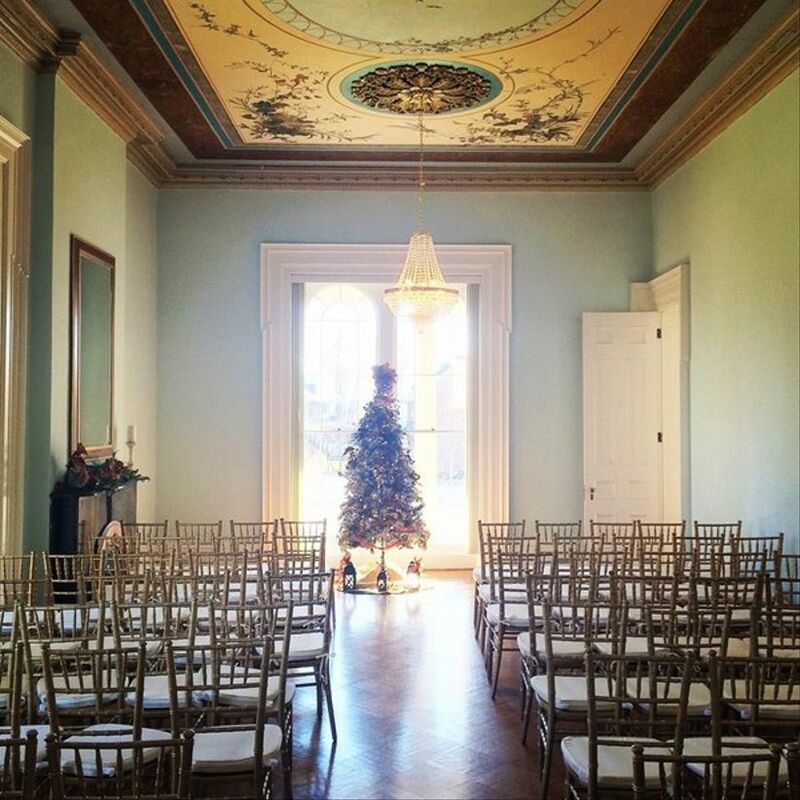 This recently restored Victorian manor offers outdoor and indoor options for ceremonies and receptions. 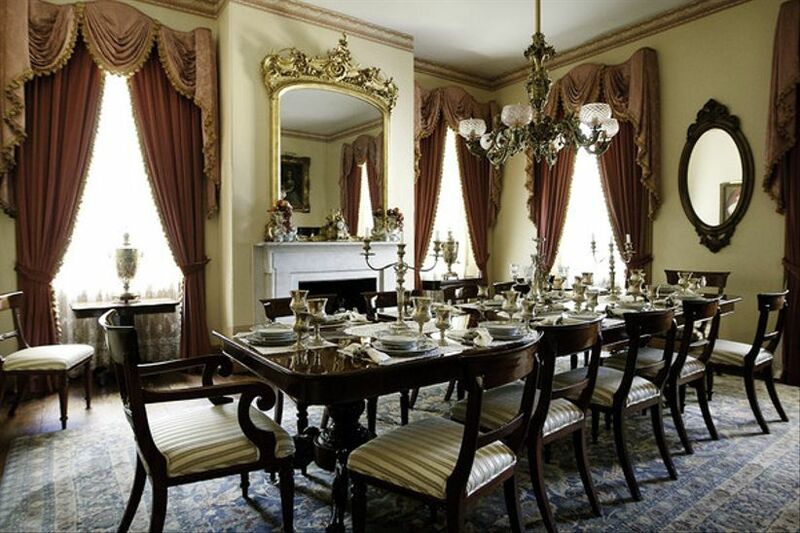 We love the mansion’s classic and historic feel—plus the fact that you can stay on premises with your family and friends to make for a seamless wedding day! 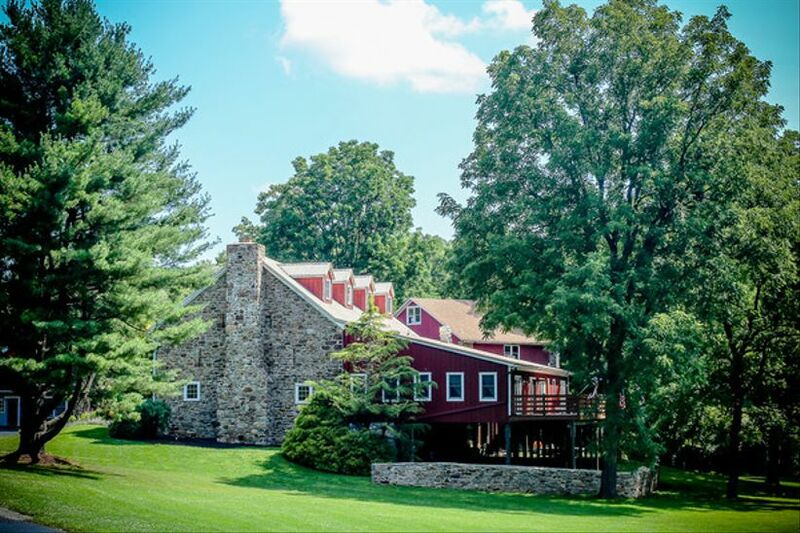 If you’re hoping for a rustic setting for your big day, check out this Eastern Pennsylvania inn on the banks of the Perkiomen Creek, featuring a 19th-century barn and farmhouse on 60 acres of farmland. Romantic ceremonies can take place in the courtyard or gazebo. Located at the base of the Santa Monica Mountains, this inn has a Mediterranean feel, with its gazebo featuring Romanesque columns, the Tuscan Garden with a vine-covered arbor, and a dramatic waterfall. 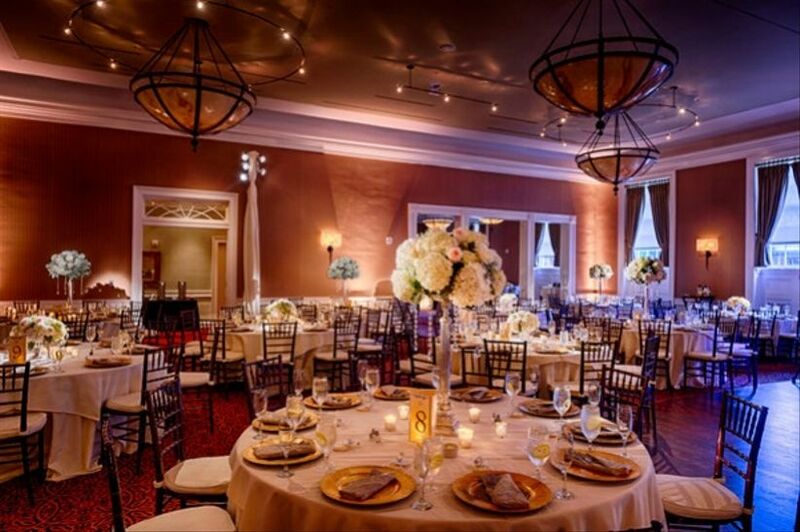 The Provence Room is ideal for receptions, with its crystal chandeliers and floor-to-ceiling windows. We love this venue’s nautical feel—the marina offers a stunning backdrop for portraits. Couples can marry in the gazebo and host a tented reception on the waterfront lawn. Ceremonies are held under the centuries-old oak tree or in the Sanctuary, which is modeled after a Palladium temple. Receptions can be held in the Garden Room, which includes a covered outdoor patio. While this venue is lovely any time of year, it’s particularly stunning in the spring, when the many flowers are fragrant and in bloom. 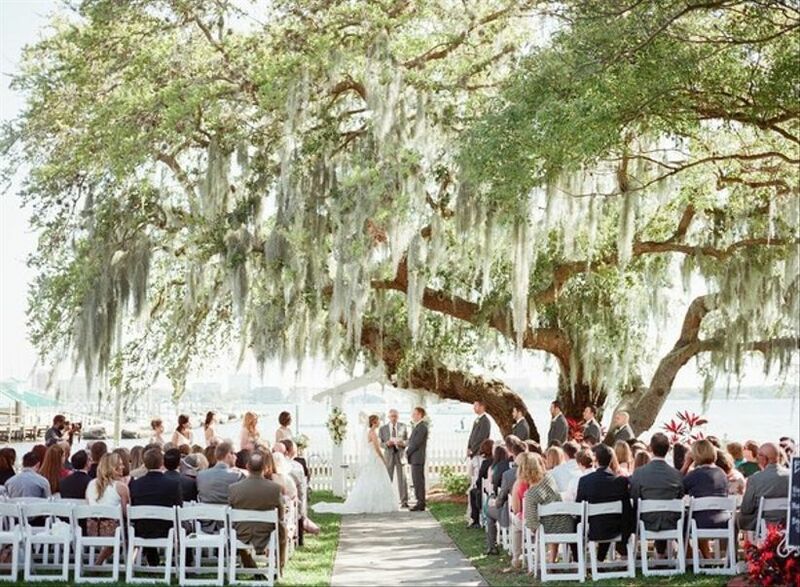 This historic 1913 inn is located on Florida’s West Coast and features a gorgeous ceremony site draped in Spanish moss, and a waterside outdoor reception space. 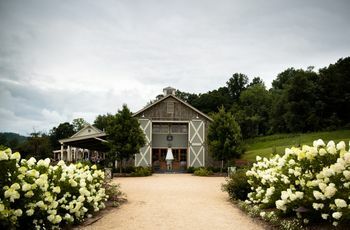 Located in Virginia’s wine and hunt country, this inn and restaurant is set on 265 rolling acres. 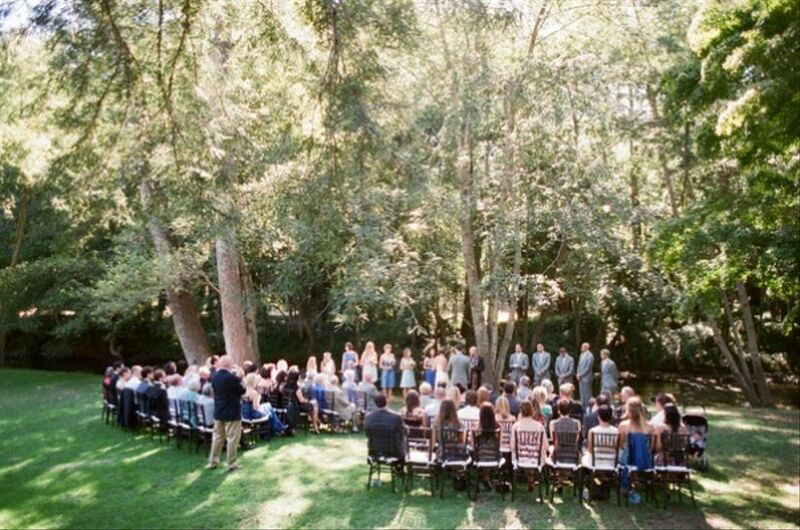 Ceremonies can be held by the pool, or on the lawn behind the French Farm Cottage. Guests can also stay on premises in one of 18 guest rooms or six cottages. This coastal Maine inn is located in Boothbay Harbor—a fantastic destination your guests will adore. 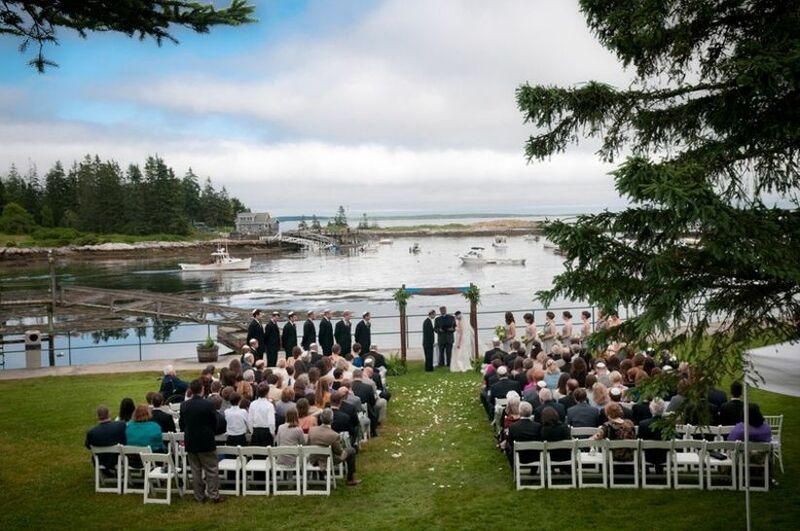 The inn offers a gorgeous ocean backdrop for ceremonies, and receptions are held in a classic New England tent. 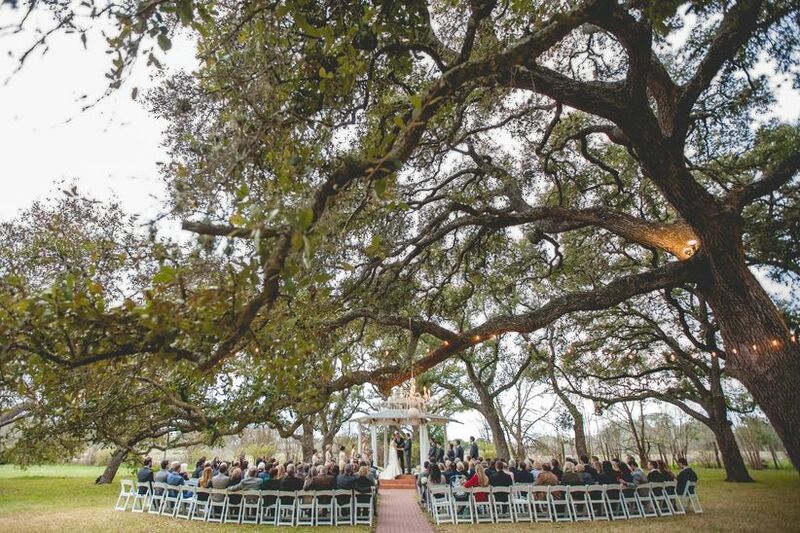 We love this venue’s rustic, woodsy feel, particularly the open-air arbor for ceremonies. Receptions are held on the patio or the covered veranda, which can handle any type of weather. What could be dreamier than a romantic inn on the Big Island of Hawaii? 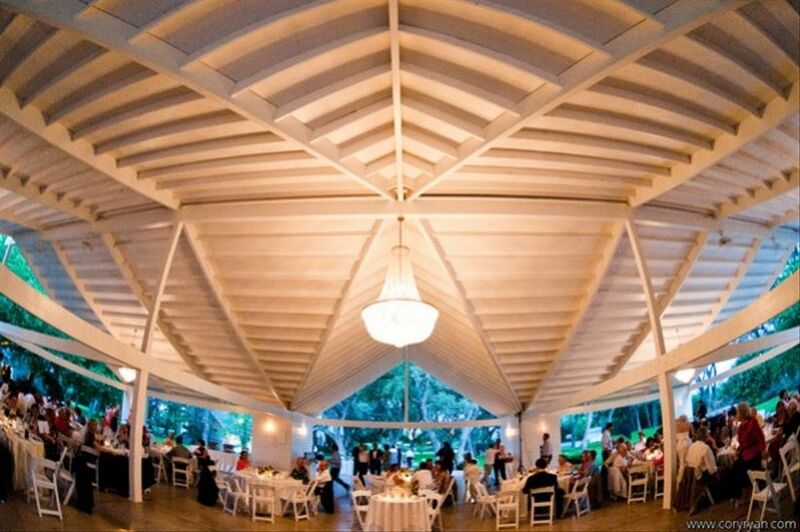 Located on 30 acres, this inn features an open-air event pavilion with views of the Kona Coast. 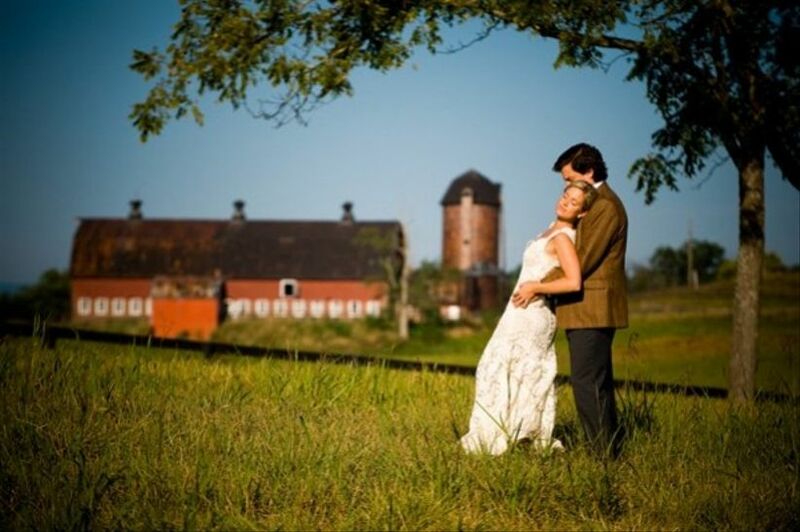 The portrait backdrops on the property are nothing short of stunning!